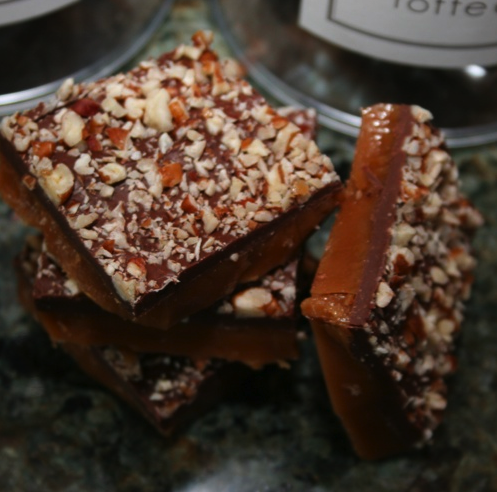 B. Toffee based in Newport Beach is our favorite toffee we’ve ever tasted. What started out as a cooking hobby for founder Betsy Thagard to be given as gifts for friends and holidays is now enjoying a cult-like following with gourmet candy aficionados. Each batch is still lovingly handmade using the finest ingredients available. You can pick up signature B. Toffee canisters and boxes locally at Promelis Market or the ‘A’ Market both in Newport Beach; or at Hi-Time Wine Cellars and Where’s the Party? in Costa Mesa. (Check online for more stores.) B. Toffee is now available online for corporate gifts, personalized gift favors, and gift baskets. 949.722.9001. Celebrate Oktoberfest at Bayside Restaurant in Newport Beach with a special three-course, prix-fixe dinner menu at $32.75 per person offered just Thursday through Saturday. Bayside, known for its stunning bay views and delectable dishes, is cooking up classic Oktoberfest fare with modern twists. Start with a compressed smoked trout salad with horseradish crème fraiche, petit greens and crisp flatbread or a barley soup with Bavarian sausage, forest mushrooms and aromatic vegetables. For the main course, choose from spinach spaetzle (German pasta dumplings) with black forest ham, appenzeller cheese and crispy shallots or the tenderloin of veal “wiener schnitzel” with warm potato and mache salad. Finally, for dessert choose from an apple almond tart with vanilla ice cream, or any of Bayside’s scrumptious dessert menus. 900 Bayside Drive in Newport Beach. 949.721.1222.